When it comes down to it, good TV repair comes down to the people. Daniel Sanchez Sr. is the pride and joy of Alamo TV Repair. With over 35 years of experience he can find solutions to some of the most difficult TV repair issues. Honestly, you would not believe the things we see other "technicians" do. 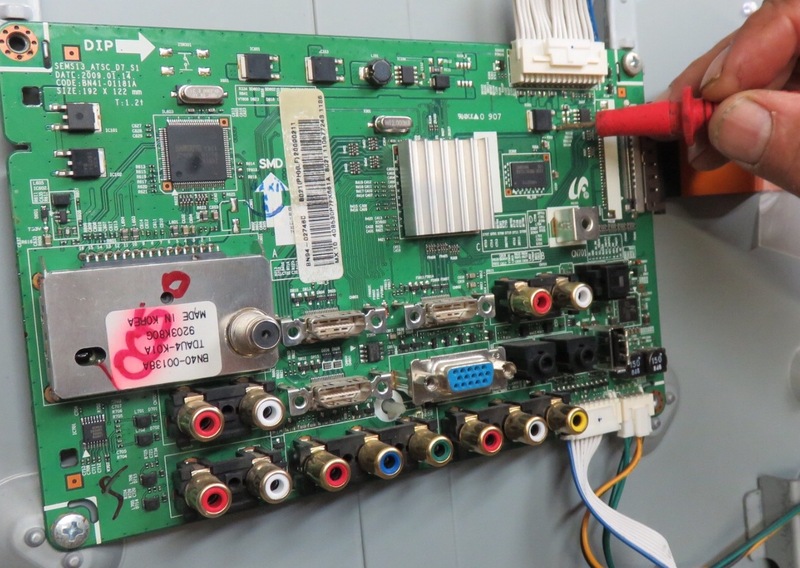 We've had TVs brought in with ENTIRE circuit boards missing after a craigslist TV tech had checked out a TV. Please, we would like to have all the circuit boards there when we go check a TV or when a TV in brought into the shop. It's kinda funny but it really does turn into a waste of time and money when we're having to guess at what kind of damage an unqualified person can do to a TV. Our technicians work on TVs every day. We've seen just about every problem you can find on a TV. Let us get your TV set back up and working.